When I was just a kid (y’know, just a few year ago, ahem) – when my gardening experience consisted almost entirely of dropping seeds in rows where my grandfather pointed – I had a neighbour who had big beautiful flower beds. He was very proud of them, and justly so; they were the envy of the neighbourhood. This was back before I knew a perennial from peat moss; before I had even considered tending a garden of my own. One day, while I was admiring the flower bed that spanned the near-side of my neighbour’s house he came around the corner with a basket filled with envelopes. I watched as he went from plant to plant and deposited seeds into the envelopes. Until that point I hadn’t really thought about where the seeds that I had helped my grandfather plant had come from. I guess I knew that plants produced seeds, because, well, I’d eaten watermelon before, but I hadn’t even thought of actually doing something with the seeds that grew inside fruit, on vegetables or from flowers. I asked my neighbour what he was doing and he explained the process of saving the seeds to be used at a later time to grow new plants. He explained that saving seeds was a way to save money, to have plants that were better adapted to his own gardens, and to allow him to select the plants that he liked best to grow more of. He told me that he stopped buying seeds for his gardens years before. It didn’t take long for me to catch the seed saving bug. I started peering into every flower I came upon, collecting seeds and sprinkling them into the flower beds we had at home. My neighbour gave me some hollyhock seeds of a variety that I still grow today. From that point onward I have always considered seed independence to be one of the ultimate goal of my gardening experience. I think that seed independence is an important part of any good plan for farm sustainability. In addition to the reasons that my neighbour expressed to me all those year ago the recent trend among the large commercial seed vendors make seed saving a near imperative. Seed varieties are disappearing. Old varieties that are considered niche, or are finicky, or that produce fruit harder to transport are being allowed to go extinct in favour of varieties that suit commercial growers’ needs. I still like trying new varieties, of course. I don’t think I could give up on experimenting with new things. 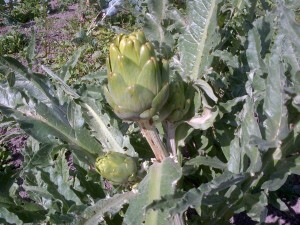 I am certainly not ready to give up on getting artichokes to grow well on Amherst Island. And there are varieties that I’ve grown in the past that I just simply can’t imagine dedicating any space in the garden to in the future. Seed independence isn’t going to be easy. 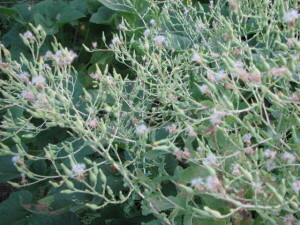 There are issues with the method of pollination, the fact that some vegetables need to be overwintered before they will produce seed, and that certain vegetables require huge populations to avoid degrading from inbreeding depression. Lettuce, beans, peas, tomatoes, peppers, and eggplant are all very easy to save seed from. With the exception of peppers and eggplant whose flowers should be bagged to prevent cross pollination all the others are basically just collect-and-go as far as seed saving goes. On the farm I am very nearly seed independent on all of these vegetables already. 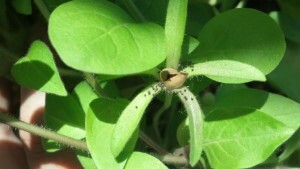 Other types of vegetables are not so easy to save seeds from. Carrots, beets and the cruciforms (cauliflower, cabbage, etc) are all biennials that need to experience a winter before they will produce seed. This is difficult to accomplish in this area of Ontario. This is one of the things that I am hoping that the greenhouse we built in 2015 will help to facilitate. It could take me a season or two to figure out the timing; I want to be able to use the greenhouse for seed starting and for crop production during the growing season as well. That’s a lot of uses for 1000 square feet! Carrots come with a second level of complication when it comes to saving seed. 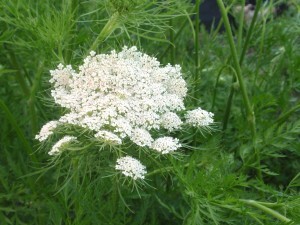 It’s actually fairly easy to keep carrots alive over winter around here, but when the second year rolls around carrots, which are wind pollinated, are closely related to Queen Anne’s Lace, the wild weed that grows basically everywhere around here. Beets and the cruciforms don’t even have to leave the garden to find a partner to cross with; beets will cross with Swiss chard and the cruciforms will mostly cross with each other. 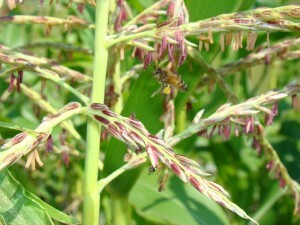 At the top of the pyramid of difficulty for seed saving is sweet corn. In addition to being wind pollinated, and having pollen that will travel for as much as a mile under the right conditions, corn also suffers significantly from inbreeding depression. This means that in order to save seed from corn a large population needs to be grown. For me this means sacrificing as many as a hundred ears of corn to seed collection; that is corn that I can’t sell, and land that I can’t clear until the very end of the season when the ears have fully dried. In spite of all the potential complications, in spite of all the work involved, I still love the idea of saving seeds. I love the idea of knowing that each successive generation of seeds is more adapted to my growing conditions than the last. I love the idea that the varieties that I enjoy growing I can continue to grow in spite of changes in the commercial seed market. I love that I can share seeds with friends and family and be confident about the lineage of the seeds that I’m sharing. And, I love the process of collecting and saving seeds. I collect the dried bean and pea pods in the fall and put them in paper bags or boxes and leave them until I’m yearning for a gardening fix and I pull them out and clean the hulls off the seeds. It makes for a fantastic midwinter catharsis. I am not seed independent yet. In fact I’ve got a long way to go! But each season I grow closer. 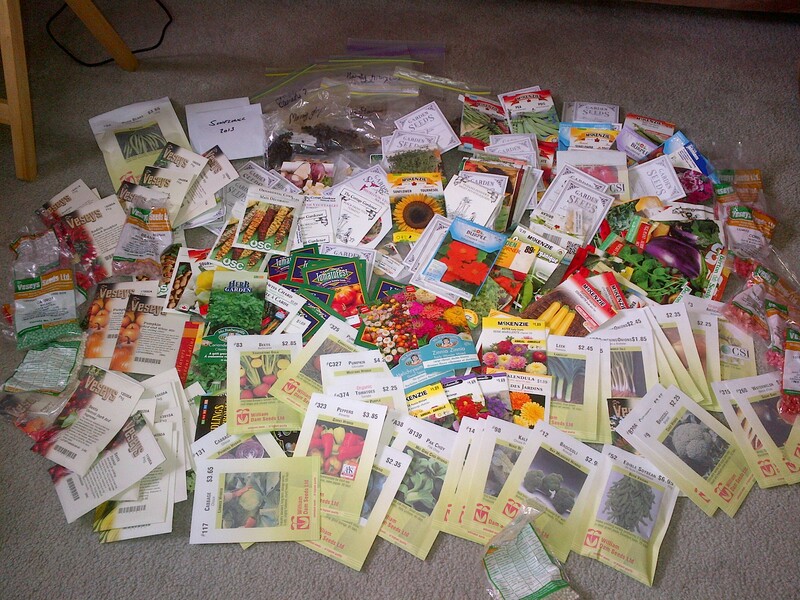 In 2016 I hope to produce a series of blog posts about saving seeds for some new varieties. I hope you’ll read along.